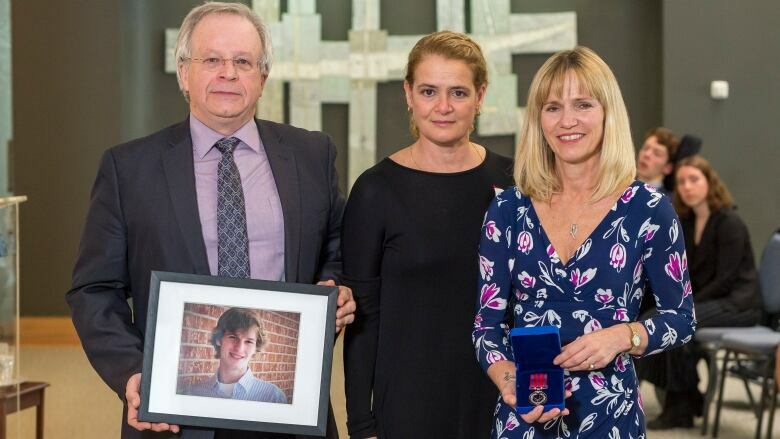 Michael Wassill, who was fatally stabbed in May 2013 while trying to protect a woman at his home, has been awarded a posthumous Medal of Bravery by the Governor General today. The 20-year-old died in hospital days after being attacked at his home on Fernleaf Crescent in Orléans on May 15, 2013. Carson Morin, an ex-partner of the woman, had come to the home to collect $100 he said he was owed when Wassill answered the door. As the Governor General's office notes, "when the assailant showed up at his home, Mr. Wassill sent his friend upstairs to hide. He opened the door but refused to let the man inside. The man then tried to force his way in, but Mr. Wassill blocked him and attempted to push him out. "During the struggle, the assailant pinned Mr. Wassill against the wall, fatally wounding him with a concealed weapon before fleeing the premises." 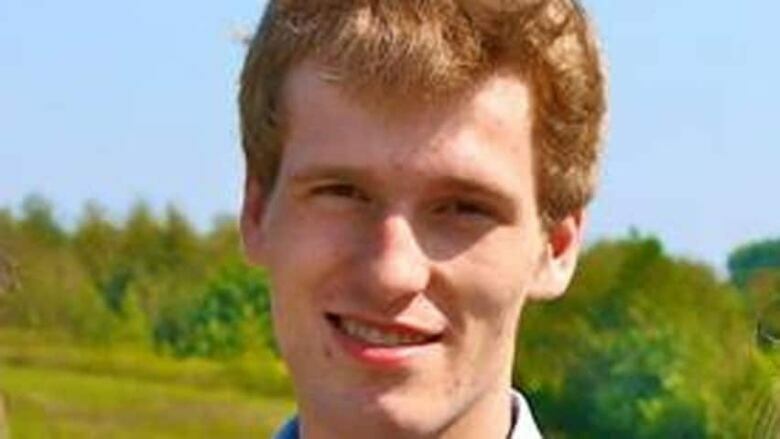 Michael Wassill, 20, died after being attacked inside his home on Fernleaf Crescent in Orléans in May 2013. He will be awarded the Medal of Bravery by the Governor General posthumously on Feb. 14, 2019 in Quebec City. In 2017, Morin was found guilty of first-degree murder in Wassill's death. He was sentenced to a mandatory life sentence with no possibility of parole for 25 years. The medal was awarded in Quebec City to Wassill's mother, Betty-Ann Wassill, and his father René Wassill. In an interview by phone from Quebec City with CBC Radio's Ottawa Morning, just hours before the ceremony, Betty-Ann Wassill said it's a "bittersweet" occasion for the family. They wish he could be there in person to accept the award himself, but they're grateful for the opportunity to acknowledge who he was, something the trial process couldn't provide. "Anything about Michael's character — the wonderful person he was, the giving person — anything like that was not allowed in court. And so that part of the incident … was completely devoid during the trial proceedings," Betty-Ann Wassill said. "So for this to come after the fact, really, for me, sets it right ... That there was an act of bravery or sacrifice on Michael's part, that he didn't stand back, and stepped in front to save his friend. "We wanted everyone in the courtroom, the world, the jury, to know this is who this person was."